The Orchestra Iowa School’s Chamber Music offerings give students the opportunity to perform repertoire of various styles while focusing on technical skills, listening, and ensemble playing. 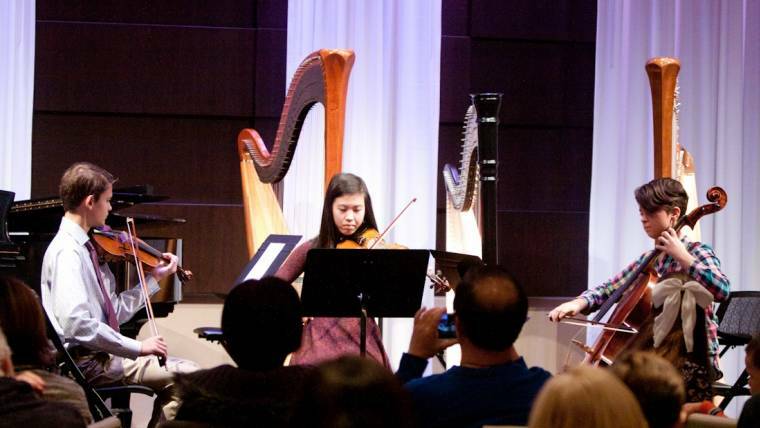 Designed to teach the fundamentals of chamber music performance, coaching focuses on rhythmic accuracy, listening, dynamics, and the interaction of musicians in the ensemble. A variety of repertoire and styles will be explored and ensembles will be given performance opportunities throughout the year. Pre-formed ensembles are encouraged to register. Select students may be placed in a group by Orchestra Iowa Chamber Music faculty.